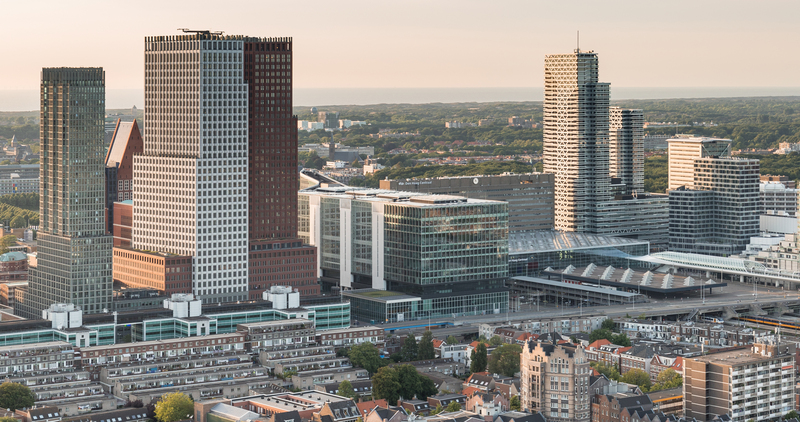 The former office of VROM (former Ministry of Housing, Spatial Planning and the Environment building) directly located next to The Hague Central Station is renovated to house several ministries and governmental services from 2017 onwards. 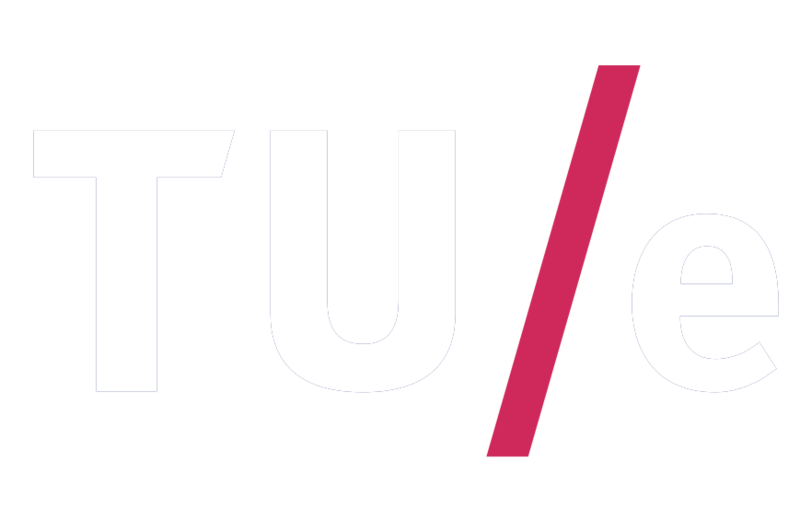 It will be updated to meet current standards regarding sustainability and safety and it will accommodate ‘het nieuwe werken’ with flexible, activity-based working spaces. 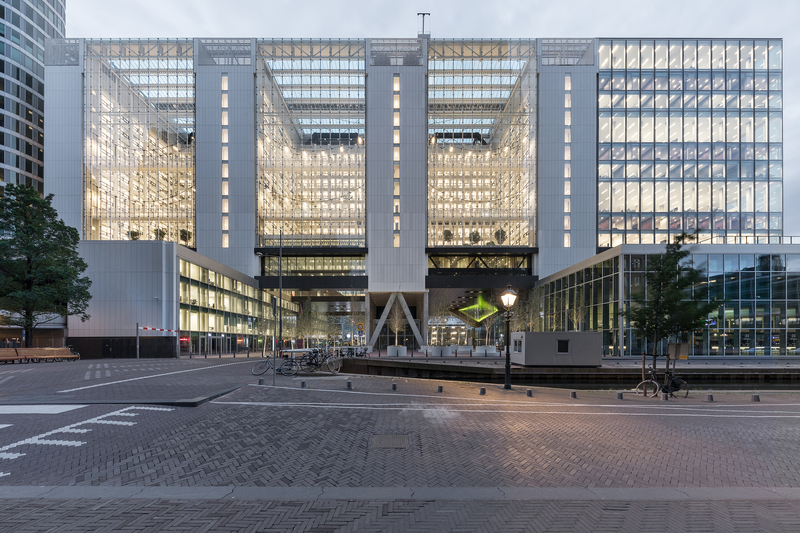 The renovation is part of the ‘Masterplan kantoorhuisvesting Den Haag’ that entails refurbishing and distributing various governmental offices throughout The Hague. 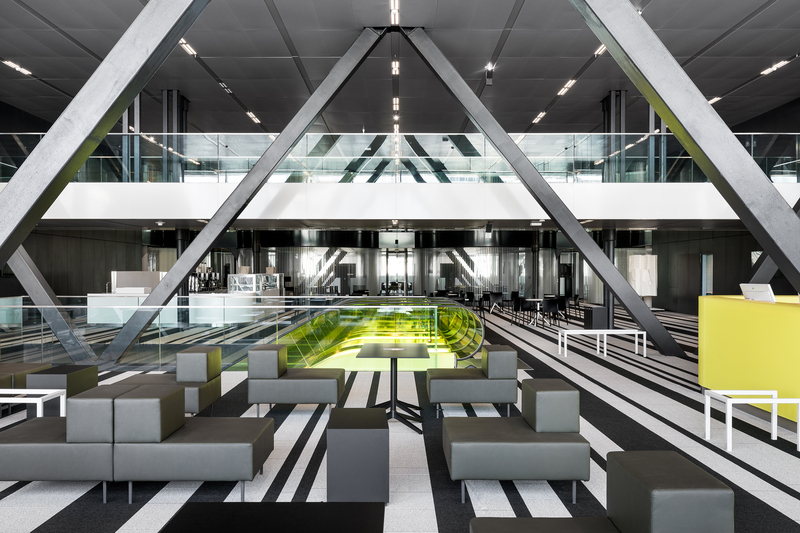 Level Acoustics & Vibration is involved as the acoustic consultant in the consortium that is responsible for the redesign of the office building at Rijnstraat 8. Renovating this building to accommodate more people and more functions on an existing footprint and in a dense urban environment has introduced several acoustical challenges. The closed office spaces in the former building made it difficult to orientate oneself inside the building. The aim of the new architectural design was to make the building more transparent and light with large open work floors and atriums. 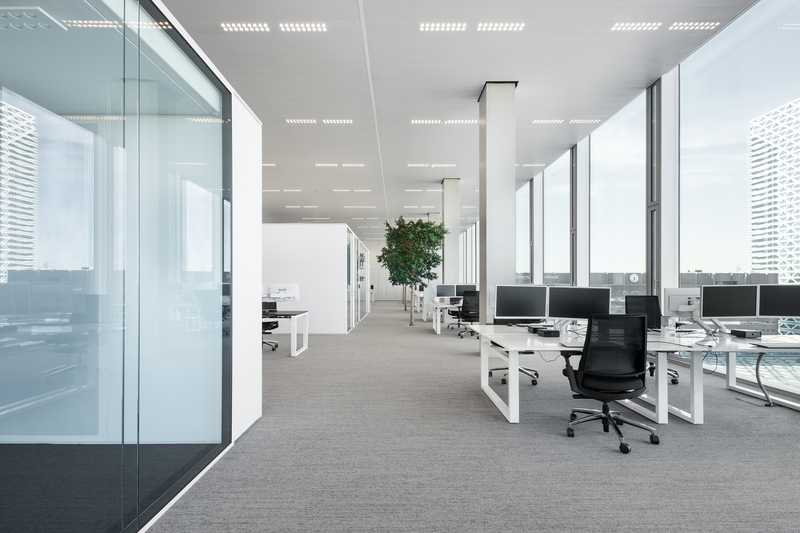 Creating open office floors, however, affects the acoustics; sound can spread more easily between work places. Several room acoustical measures have been introduced in the building to reduce the transmission of speech as much as possible. All construction parts and finishings in the building have been designed to either increase speech intelligibility within the meeting rooms, or to reduce it where it is unwanted, in the open work floors. Finding an optimum between speech intelligibility and speech privacy in all parts of the building has been one of the major challenges. On the 4th and 5th floor large meeting rooms are situated. In the north of the building these rooms are positioned directly over the public transport track that runs through the building. This potentially causes sound and vibrations to enter the office building. On these floors, internal sound insulation between the privacy-sensitive rooms, as well as external sound insulation and vibration control from the track, has been the major point of attention. In the office building the climate control is arranged by new, sustainable techniques. Assessing these techniques with regard to a comfortable acoustical climate has also been an important aspect of the design.